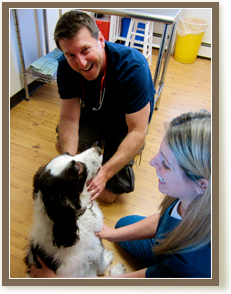 Each and every staff member at Attleboro Veterinary Clinic deeply loves animals. Our staff members really enjoy spending time in the waiting room getting friendly with your pet! We like to have a good time with our owners and their pets and we find constant amusement from our visitors. Please feel free to share a joke or funny story with us. We truly enjoy getting to know you, the pet owners, as well as your pets! 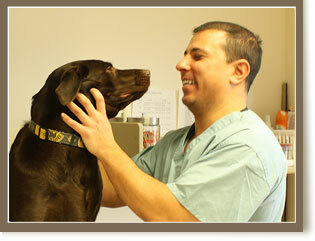 We offer prescription diets and nutrition counseling during your pet's wellness examination. Why is this important? Pets are living longer, healthier lives than ever before due in large part to our expanded knowledge of the importance of proper nutrition to overall health. In fact, nutrition is the biggest health variable controlled by a pet's caregiver. 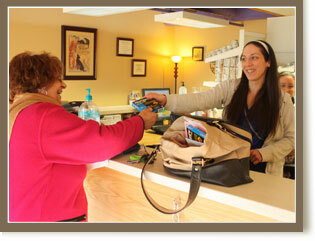 We carry a large variety of prescription foods for a range of medical conditions. If your pet requires a prescription diet we do not carry, we will often be able to order it for you. Behavior problems are the number one reason that owners give up a pet. Attleboro Veterinary Clinic offers behavioral advice for many of your pet's problems including inappropriate urination or defecation, aggression, separation anxiety, inappropriate chewing and barking, and introduction of new pets into the household. Our veterinarians work closely with you to understand the source of these behavior issues and develop a specific plan to help eliminate your pet's unwanted behavior. Sometimes a behavior problem, such as inappropriate voiding, can be linked to a medical issue (such as cystitis, bladder stones, or kidney disease) and can be treated medically. For other behavior issues, the treatment plan may include medication. If your pet's behavior problem proves to be especially challenging, or if it requires ongoing sessions, we can refer you to a board-certified animal behavior specialist or trainer. Dr. Siegel has written a handout that describes a very effective means of house-training a new puppy. Please ask any of our staff members to receive a copy! We use AVID microchips, which can be successfully scanned almost anywhere in the world. Implantation of the microchip is easily done and takes only seconds. After your pet has been microchipped, we can perform a scan at each veterinary visit to ensure that the microchip is still present and readable. Lost pets are the number one cause of pet death in the country. That's why we advise that you seriously consider microchipping your pet. Euthanasia and tending to your pet's remains are two of the most difficult issues for many people to consider. Asking the question means confronting fear, guilt, and grief. Euthanasia methods are designed to cause minimal pain and distress. Talk to a veterinarian or staff member at Attleboro Veterinary Clinic about pet euthanasia long before it becomes an issue. Find out about your options, make some key decisions ahead of time, and ask us to add this information to your pet's record. Taking the time to plan, as challenging as it may be, will lessen the pain and discomfort for you and your pet in the event this option ever has to be considered. All of us at Attleboro Veterinary Clinic will do our best to help you prepare for these important issues with compassion and we will help your pet through this difficult time with love, respect, and dignity.